GSA eBuy helps streamline the RFQ process for Federal Buyers. Read to see what that means for Government Contractors! 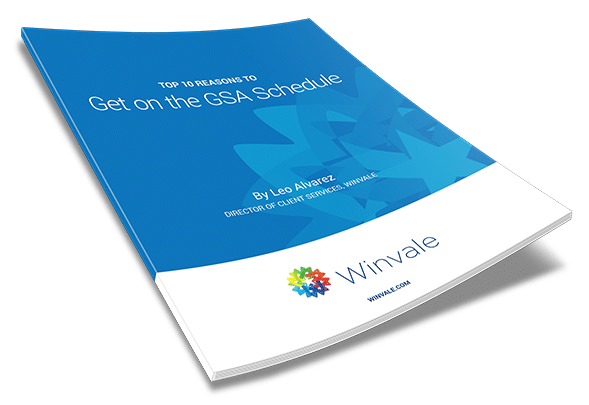 Once awarded a GSA Schedule, you’ll have access to a number of tools that will allow you to see specific agency needs. One of the most exclusive tools for GSA Schedule holders is GSA’s e-Business novelties website called eBuy. EBuy is an electronic Request for Quote (RFQ) or Request for Proposal (RFP) system, designed to allow government buyers to request information, find sources, and prepare RFQs and RFPs for millions of services and products offered through GSA’s Multiple Award Schedule (MAS). Government buyers can use eBuy to obtain quotes or proposals for services, large quantity purchases, big ticket items and purchases with complex requirements. Government contractors who do not have a GSA Schedule won’t have access to eBuy and are unable to see or respond to the opportunities posted there. One of the trickiest areas of compliance for federal government contractors is following the regulations of the McNamara-O’Hara Service Contract Act (SCA) of 1965, for services that are non-professional in nature. FAR Subpart 22.10 was recently updated to call this regulation the Service Contract Labor Standards, however, in practice you will still hear it commonly referred to as the SCA. With this update contractors saw major changes to the wage determinations.The SCA of 1965 was amended to ensure that businesses who worked in the service industry observed minimum wage standards as well as safety and health standards, when doing business with the Federal Government, District of Columbia, Puerto Rico, the Virgin Islands or the Outer Continental Shelf Lands. Here's how the False Claims Act and Mandatory Disclosure works towards protecting the Federal Government. The False Claims Act was first enacted in 1863 by Congress, to prevent defrauding of the Federal Government. It is the government’s top tool in recovering false claims for government funds and property. The False Claims Act is pertinent to any person who knowingly submits a false claim for payment, receives a false payment claim or conspires to conceal an obligated payment to the Government. A person can be found liable if they are knowledgeable about the false claim but also if they are acting recklessly or in ignorance of the truth. In the world of government contracting, it is important to know how this law applies to your contract and how you can ensure your compliance while also expanding your government sales opportunities. How the GSA determines fair and reasonable pricing. When establishing a GSA schedule contract, it is important to note that the Federal Government intends to obtain equal or better pricing than the offeror’s Most Favored Customer (MFC). The reason being, is that the GSA has determined the prices under the GSA schedule to be fair and reasonable. During GSA contract negotiations, if the proposed prices are not deemed “Fair and Reasonable” the offer can be either denied or negotiated further to meet the standards of the GSA. So, who determines fair and reasonable pricing? Let’s discuss the highlights so that your offer can be successful during the contract review process. Maintain compliance by keeping up to date with TAA policies! The 2016 Presidential election was filled with a lot of “America first” rhetoric. Within the Trump Administration, that language is continued and there will very likely be an increased importance of American made products purchased through the GSA. With that in mind, reviewing the Trade Agreements Act (TAA) and what it means for GSA spending is important for contractors and buyers alike. The Trade Agreements Act (19 U.S.C. & 2501-2581) of 1979 was enacted to foster fair and open international trade, but more importantly, it implemented the requirement that the U.S. Government may acquire only U.S. – made or designated – end products.